I have known quite a few people have taken this way out. Have seen what its done to those left behind. I have two mindsets about those who commit suicide. One is -I think they are brave to do it-as I know I never would have the bottle to do likewise. for life on those closest to them-who through no fault of their own never ever contemplated this would happen. Having said all that-I could never condemn -only feel so sad for all concerned.Hell on earth for all involved. Scary stuff. it used to be a town in wales a couple of years ago. "Royal Irish veteran Brett Savage recovered from PTSD after help from charity Beyond The Battlefield.' "
"Public Health Agency should be "embarrassed" by its approach to suicide awareness, a charity has warned"
"A call has been made for a clear campaign debunking the myths around suicide to start saving lives"
"The Public Health Agency should be “embarrassed” for not properly tackling the scourge of suicide in Northern Ireland, a charity has warned." "And it has called on agency officials to urgently publish the myths around suicide to start saving lives." "Suicide Down to Zero claimed it has been lobbying the PHA since 2014 for a dedicated public awareness campaign to help bring these numbers down." "Frustrated by a lack of action, the charity has accused the organisation of failing to “directly tackle" suicide despite each death affecting 128 people and costing around £1.67million to the economy." "It has warned that suicide rates will remain "stubbornly high" unless urgent action is taken." "Charity chairman David Smith, from Downpatrick, Co Down, became involved in suicide prevention following the loss of his son to suicide." "He said: “Only through his death I learned things I should have known about." “We need a public awareness campaign to directly address the issues of suicide prevention and to raise awareness. This must be given more urgency." “As a charity we have been campaigning for action on this for three years and have come up against bureaucracy, which is extremely frustrating. 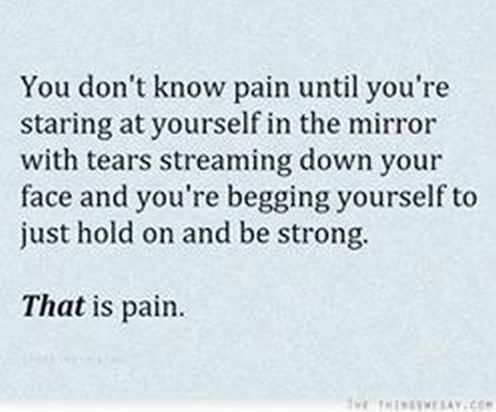 It is an uphill struggle." “Our beef is that the there are not enough public information campaigns directly tackling suicide. This must change." "The World Health Organisation will be in Belfast next week to promote healthy cities, yet we are not promoting this key issue. This should be embarrassing for the PHA." "He added: “This is not something that will be cured overnight but we need to start somewhere." “The reality is we too often shy away from talking about suicide but if family and friends know to help a person who is distressed this could make a difference and save lives." "Retired mental health nurse, Pat McGreevy, charity secretary, said a campaign could help reduce "the stubbornly high suicide rate." "He said the fact more people have died from suicide since the signing of the Good Friday Agreement than during the Troubles showed the huge scale of the problem across Northern Ireland." "He added: “Suicide is still stigmatised and if you have a stigmatised issue the only thing to do is talk about it. That has been true of cancer, HIV/AIDS, sexual abuse of children and drink driving." "A public health initiative could potentially reach so many people." 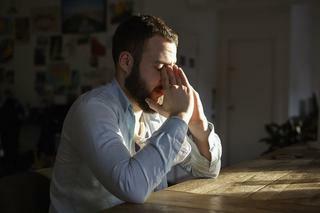 "Current public health initiatives focus on mental health and that is too broad because it buys into the myth that everybody who is suicidal is mentally ill."
"Around 70% of deaths by suicide are people who are unknown to mental health services." “You do not have to be mentally ill to take your own life, it can be relationship issues or a severe debt crisis and that is not being tackled." “Suicide is the biggest killer of young people in Northern Ireland, young men under 30 are particularly at risk and we lose 300 lives per annum." “It is estimated that each suicide costs £1.67million, and affects around 128 people. Not only is there a lost life, there is the devastation of those left behind. “We have campaigns telling us to watch your speed and be careful how we drive but nothing is done about how to cope with stress or what to do if you feel isolated. That must change." "The PHA, however, insisted suicide prevention "is extremely important" to the agency "which is why we have in place a broad range of measures to tackle this issue both at a regional level and on the front line in communities across Northern Ireland". "They added: "Each year £8.7million is invested in suicide prevention and mental health and emotional wellbeing services. 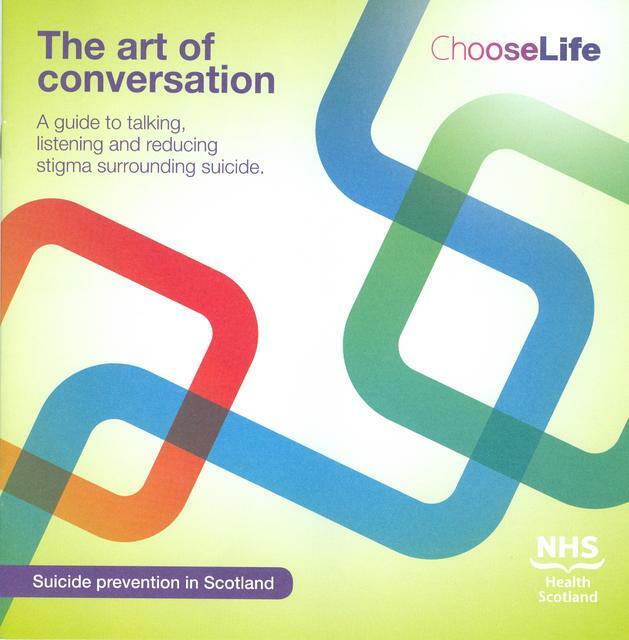 We are continually looking at effective and evidence-based approaches to tackling suicide." "The PHA has met with Suicide Down to Zero to share and discuss evidence around public information campaigns that deal with suicide prevention messages including campaigns that focus on suicide awareness." "Evidence for the effectiveness of public information campaigns in supporting suicide prevention is limited. There are also risks associated with public messaging about suicide which has the potential to normalise suicide." "Consequently, there is a risk that such messages can be harmful, especially when targeting more vulnerable audiences. Evidence suggests it is better to give messages about suicide to smaller groups where support can be provided for vulnerable individuals." "They added that "in consultation with the Department of Health" they have "refrained from developing campaigns that focus on suicide awareness but continue to keep emerging evidence under constant review". "They say there is "a lack of evidence around using ‘shock tactics’ in suicide prevention advertising". "The PHA added: "All public information, marketing and communications undertaken by the PHA over recent years in this area have addressed issues relating to stigma and mental health and suicide prevention, and have provided signposting to available support, such as the Lifeline service which we commission." "More information on Suicide Down to Zero is available through their website." "If you or someone you know is in distress and at risk of self-harm or suicide, seek help from either a GP or ring the confidential Lifeline service on 0808 808 8000." 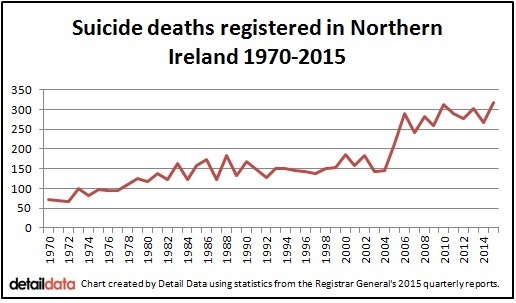 The suicide rate here is possibly the biggest shame on ALL at Stormont. Well probably on many of them,... but not quite on all of them. 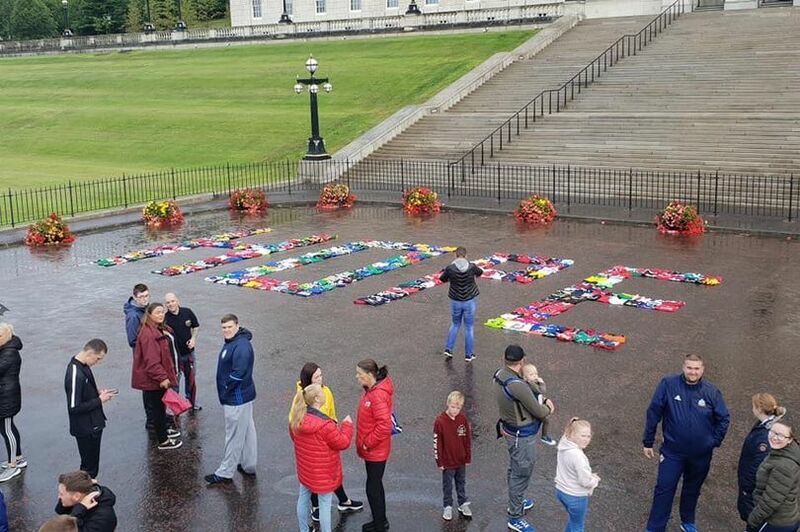 "World Suicide Awareness Day event with 305 football tops laid out at Stormont"
"Mental health groups say the sporting community is united in tackling suicide"
"Football tops representing everyone who died by suicide last year have been laid out at Stormont to promote mental health." "More than 300 shirts spelled out the word ‘hope’ to mark World Suicide Awareness Day today." "Last year, almost 300 people died by suicide in Northern Ireland." very sad for people who must be in a very dark place. Any personal thoughts James James, why this crazy rise ? It really is depressing, and a sad reflection on us all.